Sound Technology, the UK/ROI distributor for Harman Professional audio brands including JBL, AKG and Soundcraft is exhibiting at BVE from 28 February – 2 March at London’s ExCel, where a number of products will be making their first UK appearances. 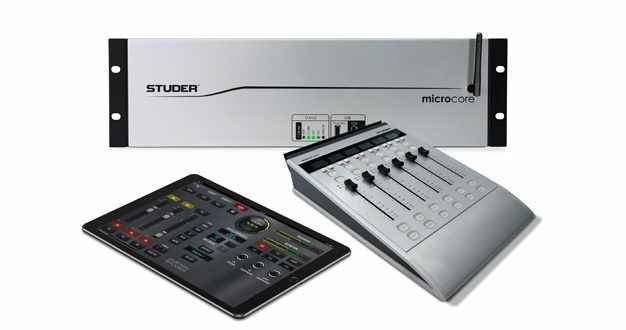 The Studer Micro (pictured, above) is a compact and flexible broadcast mixer that is ideal for a variety of applications, from radio and TV broadcast to production studios and ENG/DSNG. Comprised of the core unit, graphical user interface and optional fader control surface, the Studer Micro makes use of features such as AoIP, Lexicon effects processing and proprietary VoiceMix automatic mixing for maximum versatility. 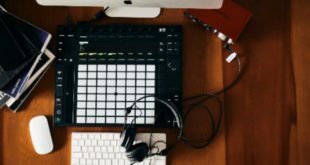 The optional fader module is a highly simplified 6-fader surface that provides streamlined controls for quick level adjustments and multitasking during live operation. Announced last month, the JBL 705P and 708P are powered versions of the 7 Series master reference monitor range which will also receive their UK debut at BVE 2017. 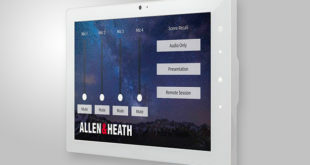 The monitor’s onboard DSP-based room equalisation compensates for acoustic issues in any room, helping to deliver the most accurate sound reproduction. Then there is the JBL Intonato 24 (pictured, below); a comprehensive solution for easy set up, precise automated calibration, and complete control of monitoring systems in stereo, surround, and immersive audio production rooms. Housed in a 2U rack-mount enclosure, Intonato 24 can calibrate and control systems of up to 24 speakers with customised recallable routing of up to 24 sources selected from 24 dedicated analogue, 24 digital and 256 networked audio sources, including Dante. While Intonato 24 was designed as the hub of JBL’s 7 Series installed reference monitor system, the unit can be used with any passive or powered speaker. AKG’s MicroLite series of miniature wearable reference microphones includes lavalier, ear-hook and headworn options, which are ideal for broadcast, theatre and conference applications. MicroLite delivers broad compatibility, moisture resistance and ‘superior’ EMC protection. All MicroLite microphones are terminated in a Microdot connector, with a range of adaptors compatible with all major manufacturers of wireless microphone systems including AKG, Sennheiser, Shure, Audio-Technica, Beyerdynamic and Lectrosonics. 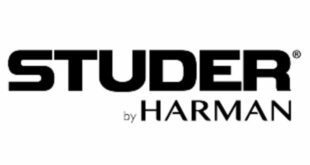 The Studer Micro, JBL 7 Series Powered, Intonato 24 and AKG Microlites will be on the Sound Technology/Harman stand (L33) at BVE 2017.